Multiple traffic charges: A 60-year-old Feluga man was charged with drink driving, exceeding the speed limit and driving an unregistered vehicle. Officer from the Innisfail Road Policing Unit intercepted the man at around 10:30am on October 31, for exceeding the speed limit. He was allegedly travelling at 93km/h in an 80km/h zone. Officers conducted a road side breath test he returned a positive result and was transported to Tully Police Station for further testing. It will be alleged he returned a reading of 0.064 percent BAC and further alleged his vehicle registration had expired. His licence was suspended and he is scheduled to appear at the Tully Magistrates Court on November 23. Speeding: A 30-year-old Coominya man was issued with a $420 infringement notice. 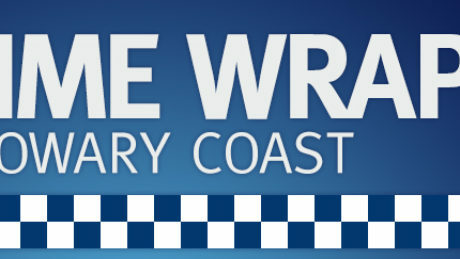 The man was travelling along the Tully Mission Beach Road, Wongaling Beach around 5pm on Tuesday afternoon, when officer from the Innisfail road police unit allegedly detecting him travelling at 109km/h in an 80km/h zone. Expired license: Innisfail road policing unit intercepted a 27-year-old Bungalow woman around 5pm on the Bruce Highway at Murray Upper, in relation to a traffic matter. Checks of the woman’s licence revealed it had expired, she was issued with a $193 infringement notice for driving with an expired licence. Stolen computer equipment: Police are investigating the theft of a Microsoft Tablet from a Mourilyan Road address. Between 9am and 2:30pm on October 25, an unknown offender has gained entry to the building and has stolen the tablet. Anyone with any information are encouraged to contact Police Link or Crime Stoppers and quote reference number QP1701909354.